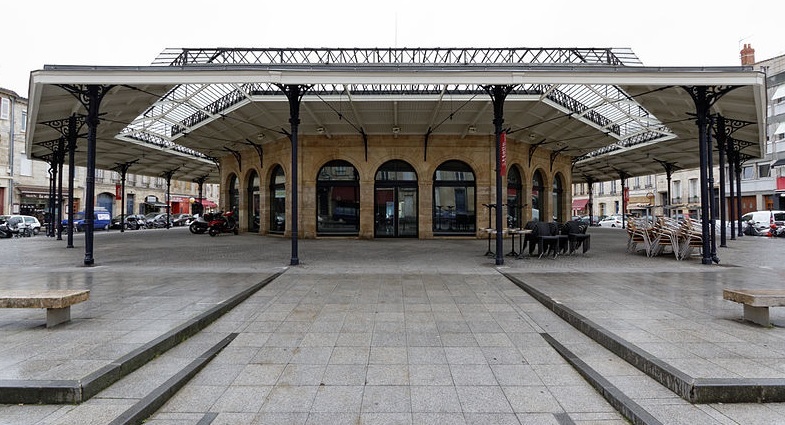 Chartrons is a district of Bordeaux that lies in the heart of the thriving metropolis. It is characterized by its quirky antique shops and vintage boutiques selling an eclectic mix of bric-a-brac on the banks of the river Garonne, giving it an animated and fashionable air. Here are our recommendations for the top ten things to do and see when in this area of Bordeaux. The Jacques Chaban-Delmas bridge, with its innovative technology, brings a contemporary edge to the city. Make sure you catch sight of the bridge at night, when it is bathed in white lights, eliminating the construction and reflecting wonderfully onto the Garonne. Bordeaux’s museum of wine and trade is in the heart of Chartrons, the district that was significant in the city’s wine trade. The exhibition boasts old photographs and old equipment, as well as current technology and other artifacts that reflect the industrial, cultural and developmental history of the wine industry in this particular region. The museum is a fascinating insight into Bordeaux’s production of some of the world’s most prestigious wines. Rue Notre-Dame is a pleasant street in the center of the Chartrons district that boasts a plethora of enchanting antique shops. The stores sell an abundance of paintings, photographs and fabrics that are aesthetically intriguing, while also providing an ethnographic insight into French culture and history. After an afternoon of trawling the streets for a great bargain, try one of the street’s quirky cafes. Paul’s Place is a great spot for an enjoyable meal or drink among a jumble of eclectic furniture, antiques and paintings that take up every inch of space. Just a short distance away from the buzzing Rue Notre-Dame is the charming Place du Marché des Chartrons. The spot was once the site of a 19th century market. The weekly market has now spilled out onto the river front, and the 1869 market hall was elegantly restored in 1998 in glass, iron and stone. The building is now a cultural center but maintains the buzz of market day with a selection of intimate restaurants and cafes. This wide boulevard is a beautiful old street that leads towards Quai des Chartrons and the banks of the river Garonne. The street showcases stunning aristocratic residential buildings that originated in the 18th century. The architecture exudes wealth, with ostentatious design and detail including magnificent wrought iron balconies and classically French décor. Quai des Chartrons is a stretch along the Garonne river where age-old warehouses have been converted into factory outlet shops for top sports brands such as Reebock and Le Coq Sportif. The wide pavements also boasts numerous cafés and restaurants, and make for a nice spot to enjoy a meal or coffee after a day of shopping, while looking out over the river. The Marché des Quais is the local market that is in full force on a Sunday morning, with fresh fruits, tantalizing wafts of freshly baked breads and cakes, and the taste of delectable French cheeses. The early morning start certainly does not deter the French from their alcohol, visitors can be seen enjoying a glass of chilled white wine to complement their freshly caught oysters. Look out for this plaque among the cobblestones that serves as a reminder of the staggering implications of Bordeaux’s booming trade. 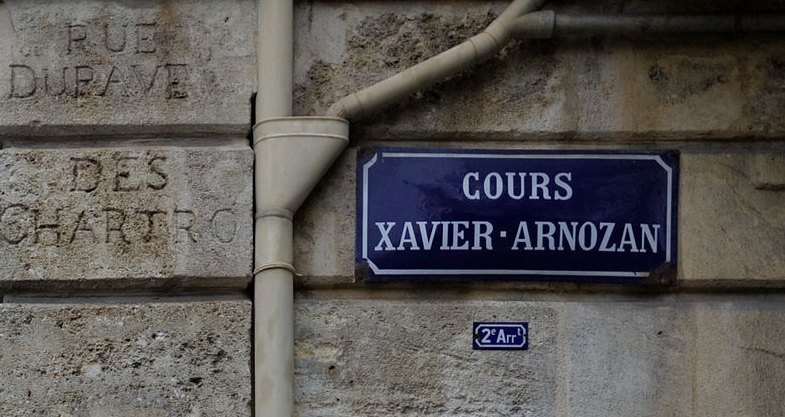 The plaque acknowledges Bordeaux’s very pertinent role in the notorious slave triangle. Ships set sail for East Africa laden with food, cloth, arms and anything that could be exchanged for people of East African origin, who then after a horrendous leg of the journey would be sold as slaves in America. From as early as 1672, more than 500 voyages departed from Quai des Chartrons, and the plaque acknowledges and honors the African slaves who were deported with no regard for their human rights. 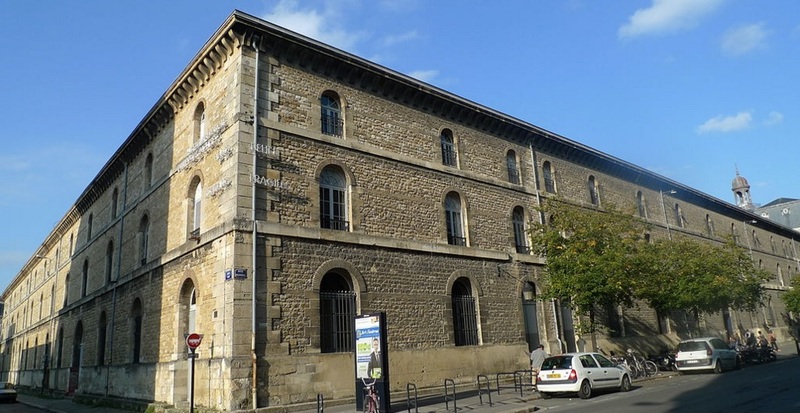 The contents of this museum is in direct contrast to the building itself, which is a cavernous, two-centuries-old warehouse located on the riverfront. The museum houses a colossal exhibition of modern art, permanently showcasing the works of 190 different international artists. The museum also regularly boasts exclusive events and temporary exhibitions that will be of interest to those with a contemporary artistic taste. While this replica of the Statue of Liberty may seem a thousand miles from home, this small scale model of the Roman goddess Libertas bears some relevance in the middle of Place Picard, Chartrons. Indeed, Frédéric-Auguste Bartholdi was the French architect and the brains behind the iconic statue that still sits proudly in New York. This particular replica has an interesting past. During World War Two, the statue was removed by German troops, who were intent on its destruction. The statue mysteriously disappeared and was recovered in the wake of the war and re-erected in Place Picard in 2012.